Description: Participants will learn the basics of community-level youth substance abuse prevention and can apply learnings to develop grant applications or new projects and initiatives. 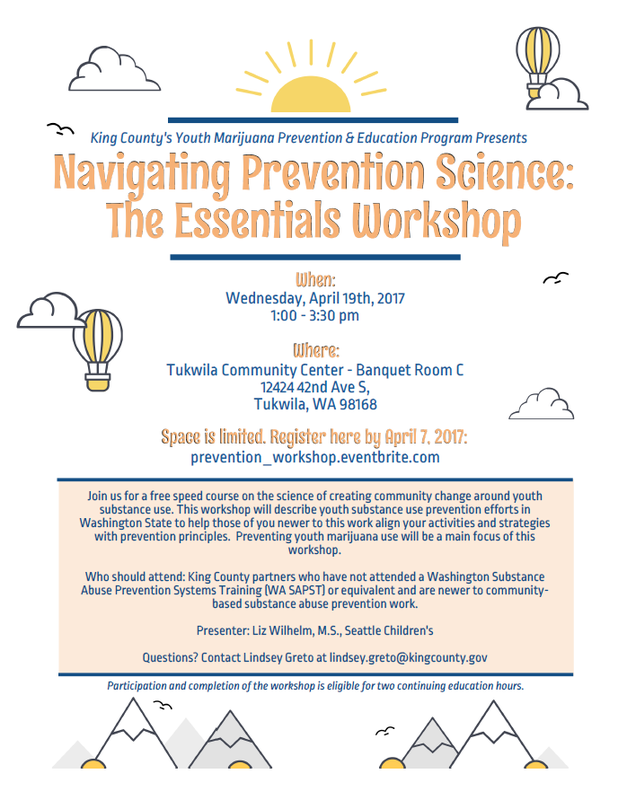 Who should attend: Anyone who hasn’t been to the Washington Substance Abuse Prevention Systems Training (WA SAPST) or are newer to community-based substance abuse prevention work. 2 hours of continuing education are available. 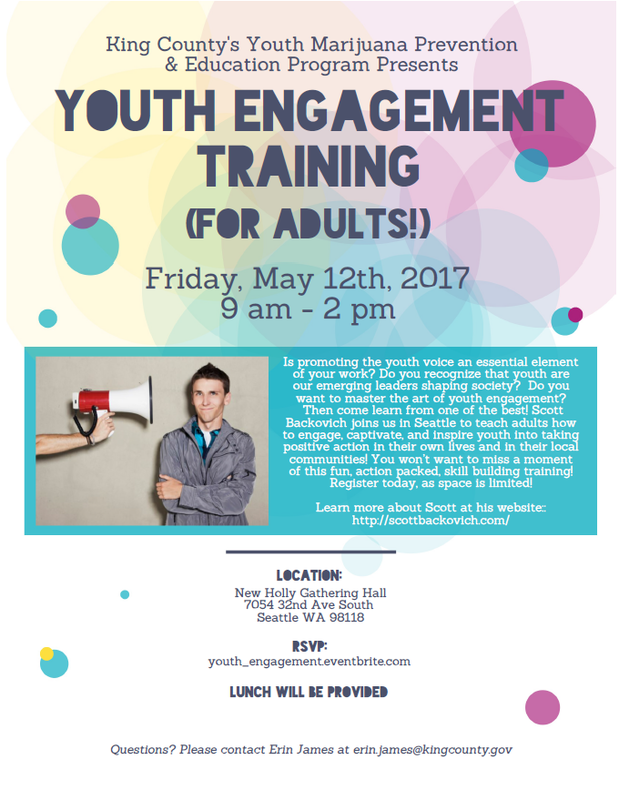 Description: Youth motivational speaker Scott Backovich will lead a fun, action packed, skill building training to teach adults how to engage, captivate, and inspire youth into taking positive action in their own lives and in their local communities. Lunch is provided! There is space for up to 100 attendees, so please distribute this opportunity widely. Description: Learn where to find reliable data on marijuana use and to communicate effectively to tell your story. Registration: SAVE THE DATE. More information and link to register coming soon!